While winter in Los Angeles is mild and often lovely, it’s been grey and rainy and I’m longing for summer and leisurely beach days. Vintage seashell book: A recent gift from my love. Shell ring and earrings: Both were purchased from a local thrift shop ($3 for the ring, $1 for the earrings!). 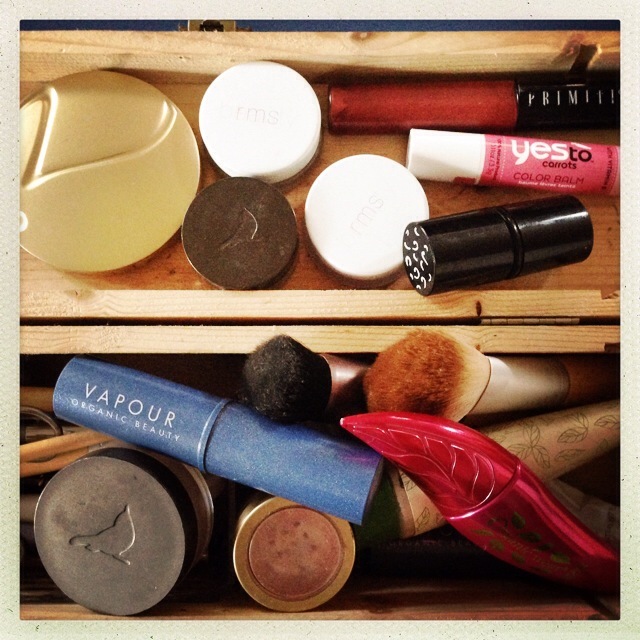 Bronzer: My go-to bronzer is Alima Pure’s Maracaibo. Just a swipe across my cheeks and I feel kissed by the sun. 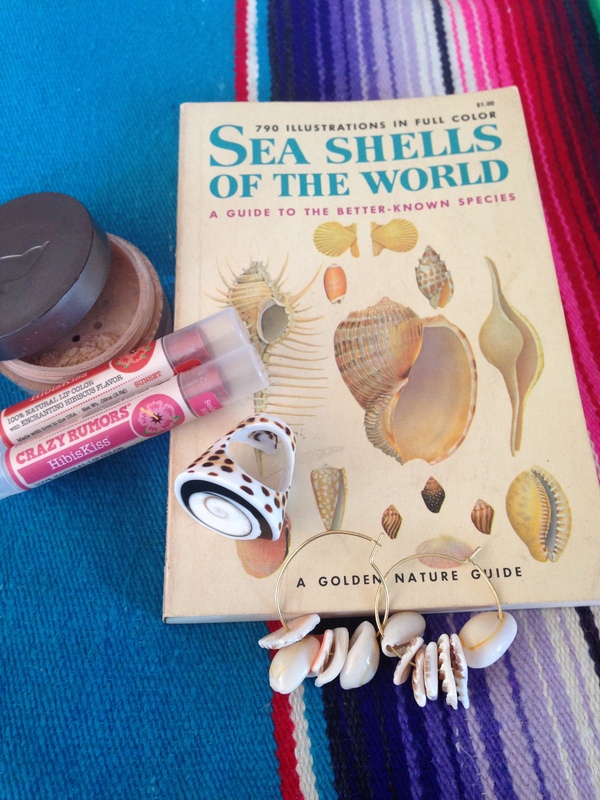 Tinted lip balms: I try every naturally tinted lip balm that’s out there and I’m currently loving the super-creamy and sweet HibisKiss lip balms by Crazy Rumors. Pictured, Sunset and Coral. 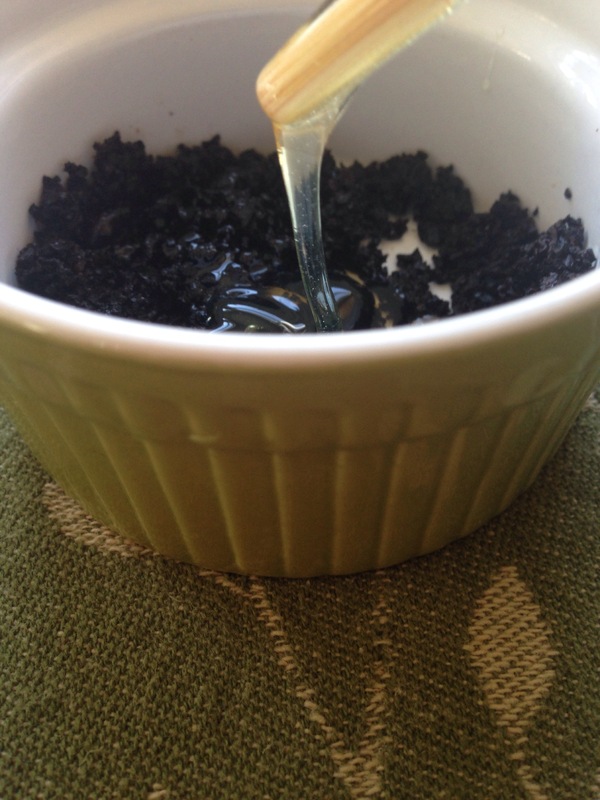 I like to reuse and repurpose as much as possible, which makes this DIY coffee and honey facial even better. I simply take used coffee grounds and add honey, then gently pat the sticky mixture on my face and let it sit for about five minutes. Over the kitchen sink, I then gently massage with two fingers using a circular motion on my cheeks, chin, and forehead, avoiding the delicate eye area. When washed off, skin is soft and glowy. I have long been a user of toxin-free, better-for-you cosmetics and personal care products—and routinely check Environmental Working Group’s Skin Deep database before making new purchases. I learned to read labels and avoid chemicals that are known to cause harm and are linked to a range of health issues, from allergies to cancer. But I had never considered actually giving up shampoo until I read Michael Pollan’s Food Rules. The rule that stuck with me most: Don’t eat anything with more than five ingredients, or ingredients you can’t pronounce. Have you seen the ingredients label on a bottle of shampoo? Even the purported good-for-you ones aren’t that great. Yes, I know there are shampoos available that are non-toxic, but I was also interested in scaling back on the product front. You know, minimizing all the stuff. I am nowhere near giving up my lip gloss or mascara, but shampoo? Why not? How natural could I go? I had already heard about the “no ‘poo” movement—yes, it’s a bit of a movement. Go ahead and Google it and you’ll find lots of greenies out there doing it, not all of them granola-hippie types (not that there’s anything wrong with that!). I read about how it takes weeks for your scalp to adjust to the process and that it gets worse (oily, listless, dirty) before it gets better (no need for shampoo). I decided to go for it and prepared myself for non-glam days with greasy hair. Because I suffer the fate of fine-haired girls everywhere, my hair can look oily after just one day without washing. Conditioner? Never an option. I reasoned that it would be similar to dealing with the awkward in-between phase you face when growing out bangs or that short haircut you regret the second you cut it. Well, I have grown out bangs countless times and even pretty gracefully grew out a pixie haircut with the creative use of hair bands and scarves. Each time I tried going “no ‘poo,” I found that no hair band or scarf could hide my oily locks. My hair was heavy and slick. There were unplanned pleats. My pillowcase was disgusting. It was for a vacation—because did I really want to look dirty in my vacation photos? Still, I was determined. Or maybe not. I resolved to give it another try. Again, I felt a little dirty after two weeks but carried on. It seemed like it was time to rethink this no ‘poo thing. I realized I wasn’t opposed to washing my hair—I was simply opposed to using shampoo to do it. I didn’t want to use anything on my head that was chemical-based and I wanted to cut back on products. Why not try a shampoo alternative? And why not look right in the kitchen? It made perfect sense. 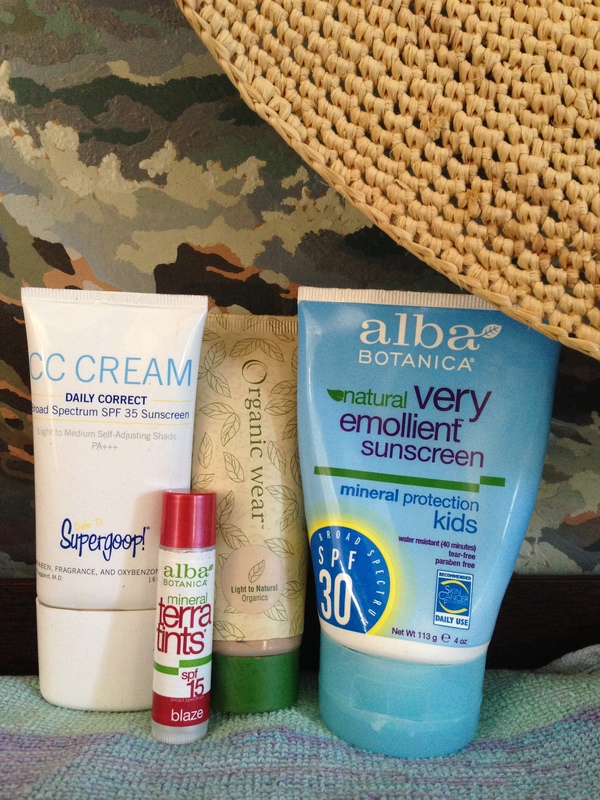 I had already started using my own homemade beach hair spray using ingredients from my pantry (see my post on DIY beauty products and treatments using kitchen items). The solution seemed so simple: I already used baking soda, apple cider vinegar, and honey on my face—to exfoliate, tone, and wash—so I tried using them on my head in the shower. Like a mad greasy-haired scientist, I took to experimenting each separately to see what worked best. A baking soda paste made with water worked well when rubbed gently into the scalp, but felt a little drying on my hair. But a bottle filled with equal parts baking soda and water felt better to rinse through hair. I found the apple cider vinegar to clean hair, but it left my roots looking too slick. 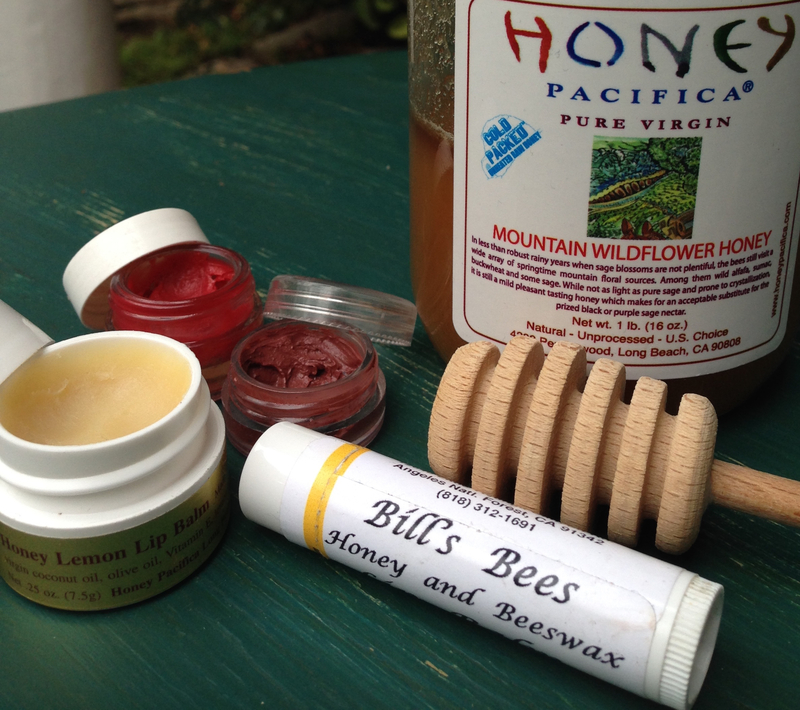 Honey gently rubbed on my scalp and through hair also felt cleansing and gentle. 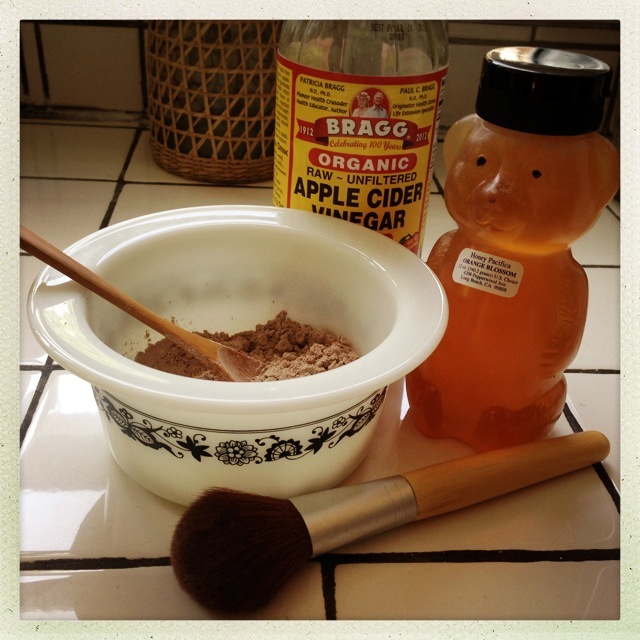 Now, I use the baking soda or honey to gently massage into my scalp and hair. I still find I need to wash my hair most days—and to count on the dry shampoo—but I don’t think anyone would know I broke up with my shampoo. In a happy twist, my fine hair actually looks like it has more body and bounce.